At RFL we don't believe in standardized logistics solutions, but we believe that every customer and every product is unique. After analyzing your logistics needs, we search our extensive base of regular suppliers for those that meet the combination of cost and service that best suits your business. We are a flexible company that adapts to the needs of each client and their flows. Our customers can fully dedicate themselves to their business, leaving the complexities of logistics in our hands. Our high degree of involvement and commitment allows us to offer a personalized, fast, safe and reliable service. We analyze both the service needs that our customers may have and their current cost. We identify how we can improve your service and reduce your logistics costs. We negotiate the best prices and conditions with the main shipping companies and carriers in the market. We design and execute a tailor-made logistics plan for the client. We have preferential agreements with the main shipping companies and transport companies in the world. We can reach any place on the planet by any means of transport. Due to the amount of traffic and volume that our different clients provide us, we get better prices than our individual clients would get. By establishing a tailor-made service, we eliminate any unnecessary costs that may be included in other types of standardised logistics solutions. Our staff are specialists in documentation and customs management. In this way we can speed up the numerous procedures required for import and export, saving time and money. 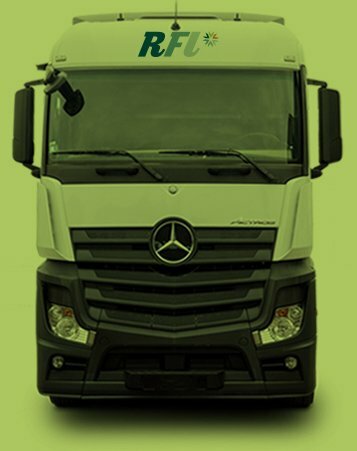 RFL is integrated in the Alonso Group, one of the main Spanish logistics operators, which allows us to have our own logistics infrastructures spread throughout the peninsula and with a solid international structure. Many of our customers do not have their own logistics department, so we take over their functions. For those who, due to their size, do have their own department, the progressive outsourcing of functions reduces their workload and increases their productivity. At RFL we believe in continuous improvement as the only key to success. That is why we are constantly looking for new profiles that can provide new perspectives, experiences and skills to help us achieve excellence in our team. If you are passionate about logistics and want to be part of a constantly growing project, we want to listen to you. RFL is a company integrated in the Alonso Group. A multi-sector holding company with 100% Spanish capital specialized in logistics, with activity in different areas such as energy, automotive, infrastructure, food, leisure and services. The group has infrastructures and logistics platforms distributed throughout the main maritime freight transport nodes of the Iberian Peninsula. Its different companies, leaders in the different areas in which they operate, cover each of the links in the logistics chain with road transport fleets, maritime and railway terminals, intermodal logistics platforms, shipping companies, forwarding agents, consignors and auxiliary service companies.